WCC Presents: Art by Yasmina Reza! We're holding auditions for our upcoming production of Art by Yasmina Reza. There are 3 characters to cast, and auditions are open to men and women, ages 20+, any race/nationality/ethnicity. Monologues are delightful, but not mandatory. We'll have sides for you to read. VIDEO SUBMISSIONS ARE WELCOME. In the video, please slate and perform one piece, 1 min max. Please send those to wildecoward@gmail.com. Auditions are being held at the Arts Alive Dance Studio. Directions can be found here. WCC PRESENTS: The Nutcracker 2018! Our annual production of the Nutcracker is sure to astonish you with it’s innovative storyline and beautiful performance. We’ve recruited some of the top dancers in our area to perform with holiday classic. It’s fun for all ages and is the perfect way to begin your Christmas season. Join us for performances at Deland High School Dec 7 & 8 at 7:00PM. Tickets are only $12 for students, and $15 for adults. The Wilde Coward Company is holding auditions for the fantastic dark comedy Chamber Music by Arthur Kopit. We need 8 amazing ladies and 2 diabolical men to fill out this extraordinary show. All characters can be any age, race, or ethnicity. Some characters require an accent: Austrian and Spanish. Come on out! Performances will be held in Lake Helen on April 28-29 and May 5-6. WCC PRESENTS: The Nutcracker 2017! We're excited to bring the classic ballet The Nutcracker to life again this holiday season. We will be performing Dec 9th and 10th at 7pm at Deland High School in beautiful Deland FL. For tickets, visit us here. See you at the show! 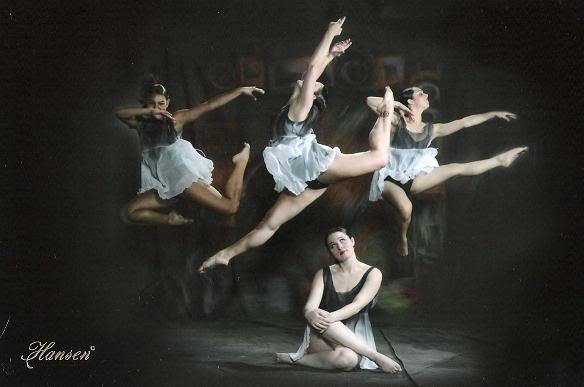 The beautiful classic The Nutcracker will be performed December 2nd and 3rd at 7pm in Deland at the Stetson Theatre. Wilde Coward Company is excited to produce this wonderful piece from our collective artistic tapestry. Everyone knows the Nutcracker: the story of Clara and her beloved Nutcracker toy as they travel one Christmas night to the mythical Candyland. They find the home of the splendiferous Sugar Plum Fairy, Snow Queen, and all the delightful sweets. Join us, won't you? This lovely ballet will be performed for two nights only so get your tickets today! Congratulations to all our amazing dancers and performers! Your auditions were incredible and we're excited to have you part of our cast!! WCC Presents: God of Carnage! Two children engage in an “altercation.” Someone gets hit with a stick. It’s time for the parents to discuss, and how do they handle it? This is the premise for the Wilde Coward Company’s latest theatrical production, Yasmina Reza’s vicious comedy, God of Carnage. A Broadway darling, God of Carnage skewers the polite society we’ve all bought into and boils four people down to their basest forms. The image of the perfect PTA meeting and well-mannered play dates becomes a broiling onslaught of marriage issues and childish shenanigans. “We’re supposed to be the adults in this situation,” says Sara Humbert, one of the actresses who portray a parent in question. “We’re supposed to be civil, and we just become a mess.” The two sets of parents soon devolve into squabbling children themselves. And at the root of it is the question of how far does politeness go? How long can our characters keep up the façade of prim and proper members of society as they decide how to handle their rambunctious children? The answer is: not long. Rehearsals have been a challenging experiment as the four leads try to find the humor and darkness of their comedy. One of the actors, David Lowe, has children very similar in age to the kids talked about in the show and he can commiserate with our beleaguered parents. Do we ever rise above our rudimentary nature? Can we get past being the spoiled princess, the bully, the know-it- all, or any other of those first personalities children give a try? Wilde Coward Company’s God of Carnage is going to take a shot at answering those questions in the most ridiculous way possible. 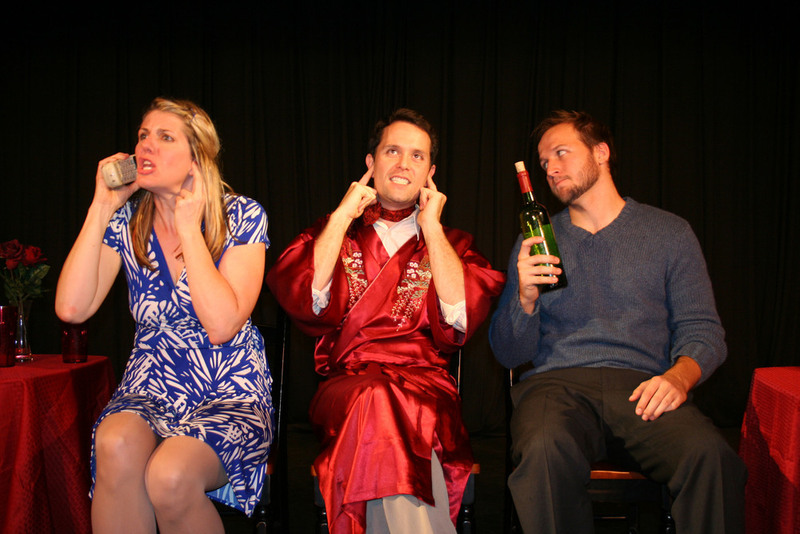 WCC’s production of God of Carnage goes up July 15 th and runs for two weekends. Fridays and Saturdays (July 15, 16, 22, 23) at 7PM, and Sundays (July 17 &amp; 24) at 2PM. Tickets are $15 adults, $12 students and can be purchased at wildecoward.com/tickets. Some language may not be suitable for younger audiences. They are located in beautiful Venetian Bay off of SR 44 (424 Luna Bella Ln, Suite 120, New Smyrna). Please contact WCC at wildecoward@gmail.com or 386-227- 7444 for questions. We're excited to be producing our very own Nutcracker this holiday season. This beautiful, classic ballet is the foundation of any dancer's education and it is a beautiful spectacle to behold. We're holding auditions for all ages and skill levels. Auditions are being held July 30th! More information on when your age group auditions is in the document below. We're ready to enroll for our summer day camps beginning June 2016! These are for kids ages 5-13 and are being held from 9am-4pm. We do have early arrival options available as well as sibling discounts. June 6th-10th - Around the World! June 13th-17th - At the Movies! June 20th-24th - A Trip to the Zoo! June 27th-July 1st - Fun in the Sun! And in July we're doing focused in intensives for ages 9-16 in Art, Dance & Theatre. Each week can be registered for $150, or you can do the whole month of June for $500 or July for $350. “Steel Magnolias may be one of the most honest portrayals of female friendships brought to stage,” voices Jo Yadanza, co-director of the Wilde Coward Company’s latest production. WCC, based out of New Smyrna Beach, is staging an intimate portrayal of Robert Harling’s perennial classic April 8-10, and 15-17 at their studio in Venetian Bay. Steel Magnolias does have it all, including six fiery personalities that stand out in an ensemble cast. “Each role is a bucket-list role,” says Rosemary Shaw, Daytona, “I’ve personally wanted to play Ouiser Boudreaux forever.” The cast is made up talented ladies across Central Florida, all fans of the well-known play. They’re also a wide range of actors, from newcomer Hannah Hendrickson to veteran Rockie Kobrin. A few are WCC alumni, such as Suzanne Pieri, with a couple of new faces like Missy Barnes. And while they’re all fans of the film, they’re definitely bringing their own spin to the play. “For those who have only seen the movie,” another cast member Larissa Roberts, Deland says, “The stage play has a little more insight. Some more tidbits into these women’s lives.” It’s deeply moving and funny, and perfect for the intimate setting WCC has chosen for it. They’re transforming one of their studio rooms into Truvy’s beauty shop, bringing the audience in close for all the gossip and fun. It will be held blackbox style with limited seating for the six performances. Staff members of the Wilde Coward Company are recommending tickets be purchased ASAP so as not to miss its short run. This warm and touching production of Steel Magnolias will be staged at the Wilde Coward Company in Venetian Bay, NSB from April 8-10 and 15-17. Fridays and Saturday performances are at 7PM, Sunday matiness at 2PM. Tickets are only $15 adults, $12 students, and can be purchased online at www.wildecoward.com/tickets, or by contacting their box office at wildecoward@gmail.com or 386-227-7444. MATER CLASS: Improv with Kevin Kearney! WCC is proud to host the amazing Kevin Kearney and his master class of Improv skills. This is an incredible useful tool for anyone wanting to get into theatre, comedy, or just hone public speaking skills. Any time you're able to think quickly on your feet is going to giving you an advantage in a situation, and that's what Mr. Kearney is going to assist with. This class is for beginners and intermediates, although we'd very much like to host an advanced class in the future. Kevin Kearney has been performing and directing Long Form Improv for 14 years. He performed improv with the Titanic Players at Northwestern University where he studied theatre and improvisation. While at Northwestern, Kevin performed in over 100 improvised shows, including 3 national tours. As Senior Director for Titanic Northwestern 2005-2006, Kevin coached the team that went on to win the national championship at the College Improv Tournament. At Stetson University, Kevin founded a new chapter of the Titanic Players (the country's largest and most successful collegiate long form improv organization), where he currently oversees the coaching and casting of all the university's improv teams.